Simplistic statements can lead to not only misunderstandings but also to perhaps doing the wrong thing when it comes to maintaining a healthy diet and fitness. I have two “pet hates”, on about fitness and the other about diet. This one is completely inaccurate because it is muscle that allows your body to use up more calories, so when you focus only on cardio and perhaps do little or no strength training you may be losing muscle, not fat. Cardio training involves such activities as running or working out on a rowing machine the body’s calorie burning stops. However, on a strength training programme the body needs to repair and for up to 72 hours after the activity calorie burning will continue. That’s not to say that cardio training does not have its place. High Intensity level cardio training, such as alternating a steady walking pace for 30 seconds with a 30-second sprint, performed for 15 minutes at the end of a strength training session will accelerate fat loss while maintaining muscle mass. Carbohydrates are such a broad category and it is all about the quality and quantity that you eat. There are three main types of carbs in foods: sugar, starch and fibre. Processed foods, such as white bread, chocolates, sweets, biscuits, cake and soft drinks often contain added sugar during manufacture. However, sugar is found naturally in foods such as fruit, honey, fruit juices, milk (lactose) and vegetables. Starch, too, made up of many sugar units bonded together, is found in foods that come from plants. Starchy foods, such as bread, rice, pasta, and potatoes provide a slow and steady release of energy throughout the day but opting for the wholewheat option is better. Fibre is found in the cell walls of many foods that come from plants, such as vegetable and potato skins, wholegrain and wheat breads, and pulses. So, you can see why avoiding carbs altogether is not an option, but also your body needs carbs as its main source of energy. When you eat them, your body breaks them down into glucose before they are absorbed into the bloodstream. So, cutting out carbohydrates from your diet could put you at increased risk of a deficiency in certain nutrients, leading to health problems like ketosis, with the short-term symptoms of headaches, weakness, nausea, dehydration, dizziness and irritability. In fact, gram for gram, carbohydrate contains fewer than half the calories of fat and wholegrain varieties of starchy foods are good sources of fibre. Foods high in fibre add bulk to your meal and help you to feel full. However, foods high in sugar are often high in calories and eating these foods too often can contribute to you becoming overweight. 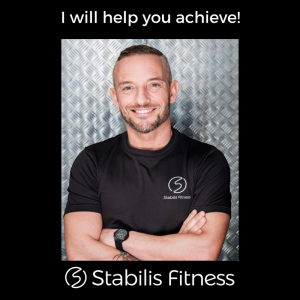 < Previous Stabilis Fitness – Diets myths busted! Next > The start to a healthier you is here.